From design to installation, we are your neighborhood landscaping experts. Add appeal and value to your home or business with a custom designed landscape from Northwest Lawn & Landscape. We can restore old depleted beds or design and create new ones. 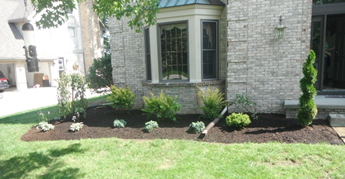 We can also help maintain your landscape with shrub trimming, weed control, and ground cover (topsoil, mulch or stone). Need Mulch? Order your mulch directly from us and save!Brown mulch, black mulch, red mulch... we have it all! 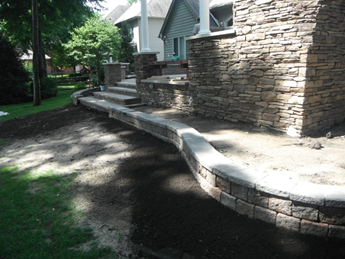 We can design and install custom stone & brick retaining walls to create attractive new planting areas or level off a steep slope. 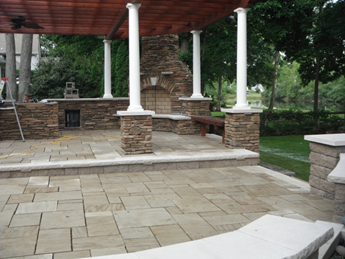 We offer a wide variety of patios and walkways from basic cement to decorative stone patios and walkways that are sure to make your neighbors jealous.